Nissan has started testing autonomous technology already on Japanese roads. The vehicle is based on the Nissan LEAF electric vehicle and it is equipped with features such as a millimeter wave radar, laser scanners, cameras, high-speed computer chips. 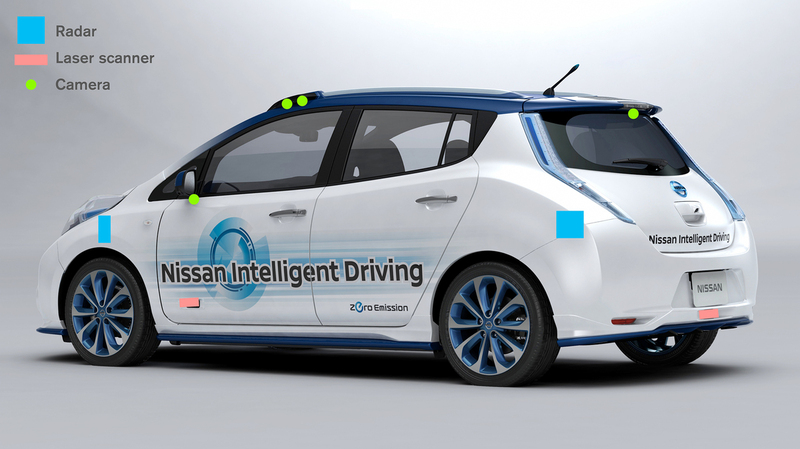 Nissan unveiled the Intelligent Driving System concept at Tokyo Motor Show a couple of days back and has already began testing after permission from Japanese authorities. 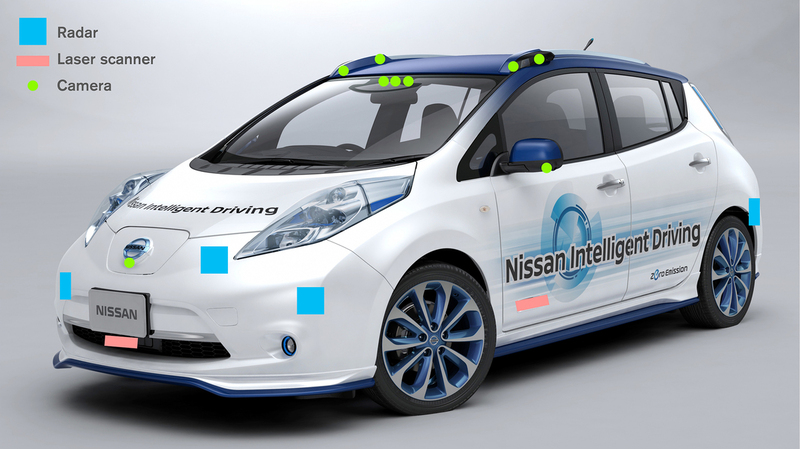 According to Nissan, “Vehicle Intelligence” will play a key role in realizing the concept of Zero Fatality. Therefore, the company is developing an advanced form of vehicle intelligence called “Nissan Intelligent Driving,” which is comprised of various innovative features that will be introduced in stages. For Stage One, Nissan will offer “Piloted Drive 1.0” by the end of 2016 in Japan. Piloted Drive 1.0 allows for autonomous driving under heavy highway traffic conditions. By 2018, the company hopes to implement a multiple lane piloted drive that can conduct lane changes on highways. And by 2020, a completely autonomous vehicle. Nissan has developed two innovative technologies that can make piloted drive possible on city/urban roads. The first is the miniature, high-spec laser scanner. Currently in its prototype stages, the laser scanner determines the distance between the vehicle and its surroundings through the use of precise three-dimensional measurement that enables the vehicle to navigate routes in tight spaces.